Office Location: Warsaw, Poland. Employees can also work full time from this office. We don’t just collect data, we connect data. YouGov is an international data and analytics group with the ambition to become a unique part of the global internet infrastructure - like Google for search, Facebook for social, Amazon for retail, we want it to be YouGov for opinion. Our value chain is a virtuous circle consisting of a highly engaged online panel, innovative data collection methods and powerful analytics technology. From the beginning we had one simple idea: the more people are able to participate in the decisions made by the institutions that serve them, the better those decisions will be. We are a global online community for millions of people, and thousands of organisations, to engage in a continuous conversation about their beliefs, behaviours and brands, and provide a more accurate portrait of what the world thinks. We are looking for a Senior Data Scientist to work in the Data Science and Architecture Team (DSAT). A core team within the global innovations department, DSAT cooperates closely with senior stakeholders to deliver new data product offerings and insights. The successful candidate will already have minimum 3 years of experience in data science, enjoys working in a team, and is ready to think creatively to find solutions and add value to our products. They will join our vision of making information more insightful and more widely available. This is a full time position, based out of our tech hub in Warsaw, Poland or work remotely. YouGov works with the world's leading brands and organisations to understand what people think. Our Global Dev group is a tight group of seven teams comprised of about 40 developers based globally in the UK, Poland, USA and beyond. The teams coordinate on efforts to build applications and innovate in data collection, survey authoring, profile data management, integration, data analytics, content management, and other areas. 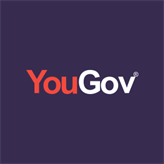 These applications drive the opinion data engine of YouGov; empowering the biggest and the best organisations around the world with accurate information about what the world thinks. Enabling these organisations to make effective predictions based on what their audience or stakeholders think. We believe the more people are able to participate in the decisions made by the institutions that serve them, the better those decisions will be. YouGov is part of Stonewall's Global Diversity Champions Framework.